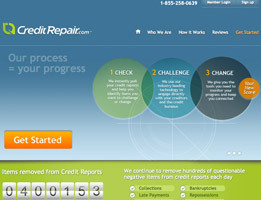 The Credit People was founded in 2001 to help you navigate the credit report review and dispute process. The Credit People is a full service company that will handle your case completely from start to finish, allowing you to be as involved as little or as much as you choose. 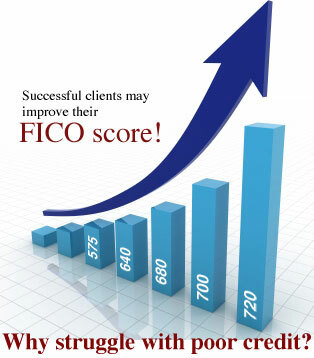 The Credit People often gain results within 60 days, although each case is different. It also offers a fee structure unique to this company. 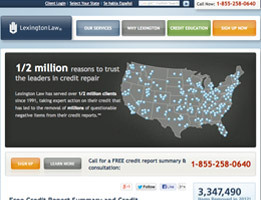 The Credit People will obtain your Experian, Transunion and Equifax reports for you. Once they have them, The Credit People carefully review all of them and create a strategy to best approach your case. They begin the dispute process immediately, sending personalized letters for any items to the credit bureau on your behalf. As the credit bureaus receive and react to the letters, you will start seeing results within 60 days. The Credit People offers a few distinct features which set them apart in the credit repair industry. They obtain your credit reports at no additional charge. These expedites and streamlines the process. They also promise Score Driven Results, meaning rather than work just to remove negative items, they work to raise your credit score.The Credit People offer a Low Setup Fee, just $19, compared to others charging between $40-$100 and three easy payments of $99 each for a six-month program. The Credit People price their service slightly differently than other similar services. It currently costs as little as $99 to start, but most people opt for their $299.99 for 6 months of service option. The goal here is to complete your case within that 6 month time span. Of course, this is not guaranteed due to the fact that ever case is different. However, their long track record of positive reviews proves they know what they’re doing. Most accounts come with a one-time $19.99 set up fee. There are several ways to get in touch with The Credit People in order to receive additional help. Currently, users can contact the company via phone or e-mail. Clients can often answer their own questions by reading the helpful tutorials, articles, and blog posts that are available on The Credit People website. Users can also login to their personal dashboard to view the status of their case at any time of the day. The Credit People has created a system that allows you to decide your level of involvement in the credit dispute process. The flat fee and payment plan for the six month program may be a better fit for you in your budget than a high setup fee and monthly payment. Their satisfaction guarantee can take the worry from you as you work to clean up your credit. Thank you for reading our The Credit People review. My wife made me find a company to help us clean up our credit. I wanted nothing to do with the whole process and was so happy when I found The Credit People. I filled out some information and they took care of everything from there. Of course my wife though I was heavily involved but that will be our little secret! I love the fact that Thecreditpeople is a full service company and really will take great care of you. I needed help but did not have the time to write to all three credit agencies and make sue they kept their word. 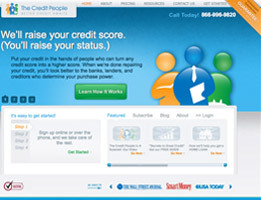 Thecreditpeople handled it all for me and I saw proven results in about 4 months. I wish I had contacted them sooner since I think I could have saved a lot with a lower interest rate on my car but at least I have a better credit score now! I loved that The Credit People had a low starting fee and was a flat fee program. The flat fee was easy to budget since I could pay it in three payments. I also felt like they had no incentive to drag out the process. I was right since I saw results in only a couple months. Best decision and highly recommended. I never realized what my low credit score was costing me until I took a finance class as part of my continuing education at work. I knew I couldn’t afford not to clean up the negative items on my report but I did not want the hassle. 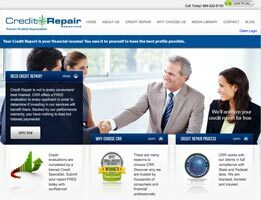 I found The Credit People and I loved their complete approach to credit repair and I enrolled immediately. My role ended there. I just sat back and monitored the progress with a smile on my face. The results were fast and furious and they fought for me on a few difficult disputes. It raised my score and was definitely worth the $300. Resolving my debt with the credit people was a very dignified process. It can be embarrassing to talk to a complete stranger about your debt. Not with the credit people. They were very understanding. I wanted to send flowers. I was already forced to declare bankruptcy once. I didn’t want to have to do it again. I was trying to find any and every way out of this situation. I was very desperate. 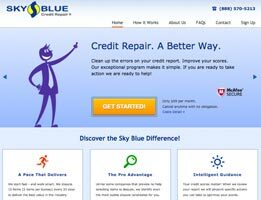 I wanted to try a credit repair company, but I was scared. The reviews that customers gave the credit people convinced me to try them. I don’t regret it. I needed a company that would look out for me and put me at ease about my situation. I got that, and so much more. They are extremely professional. They handle things very quickly. If I had to use them again, I would. When you’re trying to pay off your debt, it helps to have someone like the credit people in your corner. They kept me informed. They even educated me on how to avoid my mistakes in the future. There is nothing to stop me from buying a new car now. I fixed my credit report with The Credit People and because of that I don’t have to worry about getting a ridiculous interest rate that will make me pay so much as I pay the car off. I am so excited to report my credit debt is a thing of yesterday! And thank goodness! The Credit People was the push I needed to make it happen and my representative was very nice and made me feel comfortable throughout every step. The Credit People is committed to helping real people oversee their credit debt and make it a thing of the past. I promise you will not be disappointed if you call The Credit People. The consultation process is very simple and comfortable. 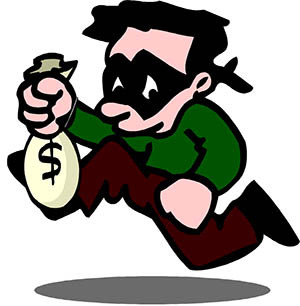 It is truly the best way to handle your credit card debt because it is easy and it works. The Credit People is my go-to if I’m ever in this position again. Are you tired of harassing phone calls from debt collectors? When I got fed up, I turned to credit repair companies to help me. When I called The Credit People, I found out that a great deal of my credit repair process involved paying off those collections in a way that worked with my budget and satisfied them so they would leave me alone. It will take me a couple of years to get back to a good credit score, but, I am on my way – and definitely looking forward to the day when I will no longer have to worry about my debt. If anyone asked if I had any complaints about the credit repair services offered by The Credit People, it would be only that I did not call them sooner. My business was suffering but now I’m back on track thanks to The Credit People!